Guess which place Mahesh Babu chose for his birthday celebrations? Goa it is! The actor, who turns 43 today, chose to celebrate his birthday with his wife and his children Gautam and Sitara in Goa, reports news agency IANS. When Mahesh was asked about his special birthday plans in Goa, he told IANS: "Nothing special as I will be shooting for Maharshi. I will just be with family and some close friends." Soon after unveiling the first look of his upcoming film Maharshi, Mahesh left for Goa on Thursday morning. He added, "It is fans who make my birthday special. However, the volume of well-wishers gets overwhelming. So I like to be out of the country for most of my birthdays." Mahesh Babu, who has been celebrating his birthdays in Hyderabad for a few years now, told IANS: "Of late I've been in Hyderabad for my birthdays as my son's school is open and we can't afford to let him miss classes for a birthday which in any case is like any other day." On his special day, Mahesh Babu decided to treat his fans with the first look of his upcoming film Maharshi. Mahesh wrote: "Embarking on my new journey as Rishi." 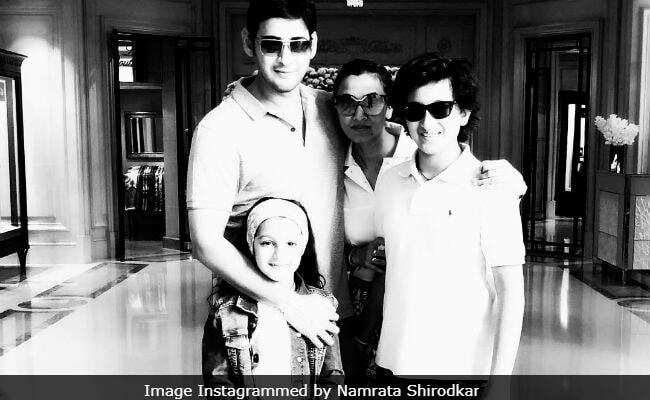 Meanwhile, Mahesh Babu's wife Namrata Shirodkar has been actively promoting the film on social media. On the work front, Mahesh Babu was last seen in the 2018 hit film Bharat Ane Nenu, co-starring Kiara Advani and Prakash Raj. Apart from Maharshi, Mahesh Babu has signed films with renowned Telugu directors Sukumar and Sandeep Vanga.